Alyssa Hardie Beckmann was raised a Suzuki student and has been an active teacher for the last decade, studying with many fantastic teacher trainers including her mother Julia Hardie, William Preucil, Teri Einfeldt, Carol Smith and Louise Behrend. Ms. Beckmann served as Upper Strings Coordinator of the Greenwich Suzuki Academy, where she taught violin, viola and chamber music for almost a decade. She has served on the faculty of the Colorado Suzuki Institute, Point Counterpoint and Heartland Chamber Music Festivals. Ms. Beckmann holds degrees from Vanderbilt (BM), and Boston Universities (MM), in Viola and Violin Performance. She attended the prestigious Tanglewood Music Center for three summers, enjoying extensive work with conductor James Levine. She has performed in masterclasses for the Juilliard, Takacs and Guarneri String Quartets, and at the International Viola Congress. Ms. Beckmann is a substitute with the Kansas City Symphony and the St. Louis Symphony. 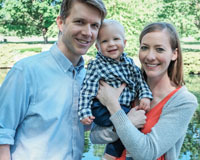 In her spare time, Alyssa loves gardening and cooking with her husband, cellist Matt Beckmann and their two children. Mary Bassett Shemon is an active performer and passionate teacher based in Kansas City. Performance highlights from last season include appearances with the Kansas City Symphony, the Saint Louis Symphony, and at the National Flute Association’s annual convention in San Diego. An active clinician in the schools, Ms. Shemon founded the Blue Valley Southwest HS Flute Ensemble in 2015, which was selected by audition to perform at the Kansas Music Educators Association’s annual conference. Her students have been selected to participate in the Sousa Honor Band (6-9 grade), KS district honor band (10-12 grade), KS All-State Orchestra (10-12 grade), and the Kansas City Youth Symphony. Ms. Shemon received her Bachelor of Music from Northwestern University and her Master of Music from the University of Southern California where she studied with Walfrid Kujala, Richard Graef, and Jim Walker. With over 15 years of experience working with children, Ms. Shemon is thrilled to be teaching at the Kansas City Suzuki Academy. Cellist Matt Beckmann has developed a passion for teaching that is evident in his enthusiastic, and nurturing teaching style. Comfortable with all ages and abilities, Matt has maintained a diverse private studio with three-year-old beginners, high school students preparing for college auditions, and adults taking on cello as a retirement activity! Before returning to his hometown of Kansas City, Matt had a rich teaching and performing career in the New York City area. Matt participated in long-term Suzuki training at the prestigious School for Strings in New York City, and has been on the faculty of the Greenwich (CT) Suzuki Academy and the Suzuki School of Westport (CT), and spent three years at Music Haven, a non-profit community music program in New Haven, CT. In the summers Matt has taught at the Point CounterPoint camp in Vermont and is Co-Director of the Heartland Chamber Music Junior Festival in Kansas City. In addition to his passion for teaching, Matt has a diverse performing career as a cellist in Kansas City. Matt was a member of the Kansas City Symphony during their 2014-15 season, and he has also performed with the KC Chamber Orchestra and is a founding member of the Kansas City Cello Quartet. Matt also performs frequently as a recitalist and chamber musician locally and across the Midwest. Matt holds a BA from St. Olaf College and a Master of Music degree from the New England Conservatory of Music in Boston, MA. His primary teachers are Natasha Brofsky and David Carter, and he has benefited greatly from his close work with chamber musicians from the Takacs, Guarneri, and Cleveland Quartets. Outside of teaching and playing the cello, Matt enjoys cycling, cooking, and eating ribs. Good thing he lives in KC! Rachel Daniels is a viola and violin teacher with a passion for education and outreach. Having earned a bachelor’s degree from the Oberlin Conservatory of Music and a master’s degree at the Rice Shepherd School of music, Rachel has studied viola with renowned teachers Peter Slowik and Ivo-Jan Van der Werff. With extensive orchestral training and experience, Rachel was previously a member of the Madison Symphony Orchestra and current substitute with the Kansas City Symphony, Topeka Symphony Orchestra, New World Symphony, and the Symphony of Northwest Arkansas. As a chamber musician, Rachel has studied with members of the Dover, Pacifica, and Arianna string quartets, as has toured in the Lincoln Center Stage resident piano quintet aboard the Holland America cruise line. Internationally, Rachel has performed in England, Italy, Canada, Austria, and the Czech Republic. She has held fellowships with the National Orchestral Institute, the Spoleto Festival USA, the Madeline Island Chamber Music Festival, and the National Music Festival. Other summer music programs she has attended include the Aspen Music Festival and School and the Chautauqua Music Festival. Rachel has had the privilege of mentoring many students, ages 5-60 on their musical journeys. As a Suzuki violin/viola teacher, she views music lessons as a chance to not only learn an instrument, but to help children to achieve goals, learn to self-evaluate, and find their artistic voices. Rachel encourages a close bond between parent, teacher, and student and has experienced joy in building meaningful connections with her students as they grow. She has also coached chamber music at the Oberlin Community Music School and served as an orchestral coach at the Milwaukee Youth Symphony Orchestra. When not performing or teaching, Rachel can be found cooking, doing yoga, scuba diving, and reading novels alongside her husband. Mary Grant grew up a Suzuki student in one of the earliest Suzuki programs in the country. Mary received an undergraduate degree in violin performance from Rice University, where she studied with Raphael Fliegel. She received a master's degree from Queens College-City University of New York, where she studied with Ruth Waterman and Ani Kavafian. While in New York City, she played with the National Orchestral Association, a training orchestra for young musicians. She also studied baroque violin with Nancy Wilson. Mary has been a violinist with the Kansas City Symphony since 1989 and is a founding member of Summerfest, a chamber music series in Kansas City. She has taught violin in the public schools in Houston, at the Aaron Copland School of Music pre-college Suzuki program at Queens College in New York, and privately in Kansas City. She lives with her husband, Jim, and her cat, Eleanor, in Stilwell. She enjoys spending her free time with her two grandchildren or sewing, gardening, and traveling. Lani Hamilton is Assistant Professor in Music Education at The University of Missouri-Kansas City Conservatory where she teaches string techniques and undergraduate and graduate music pedagogy courses. An active teacher, Hamilton taught elementary and middle school strings in Florida and Texas. She has served on the faculty of The University of Texas at Austin String Project, one of the finest programs for the training of teachers and the development of young string students within the U.S., where she taught ensemble classes, private lessons, and early childhood classes. She has also served as coordinator for the UT String Project outreach program at UT Elementary School, and co-founded the Suzuki violin program at Austin Montessori School in Texas. Hamilton completed her doctoral work in Music and Human Learning at The Butler School of Music at the University of Texas at Austin. An active performer, teacher, and researcher, Hamilton also conducts research and presents on topics related to music learning, classroom education, and music practice. 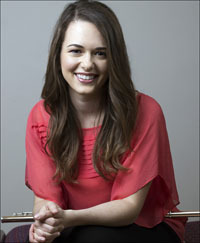 She has been invited to present her work at numerous meetings of regional, national, and international organizations, including The Neurosciences and Music Conference at Harvard Medical School, The International Symposium on Performance Science, The American String Teacher’s Association Conference, and The National Association for Music Education Conference. Prior to completing her doctorate, Hamilton was a violinists with the Southwest Florida Symphony and served as principal second violin of Opera Naples. She has performed at festivals throughout the United States, including the Sunflower Chamber Music Festival and the Brevard Music Center as a chamber music fellow. Amy Player began playing violin at the age of four with the Suzuki method and has been teaching violin lessons privately for over 20 years. She received her BM in violin Performance from the University of Utah, and a Master of Music in Violin Performance from the University of Kansas as well as a graduate degree in Violin Performance from Park University’s International Center for Music. She has taken Suzuki violin teacher training courses in books 1-8 from John Kendall, Linda Fiore, and other wonderful trainers as well as all the “Solo For Young Violinists” training from Barbara Barber.